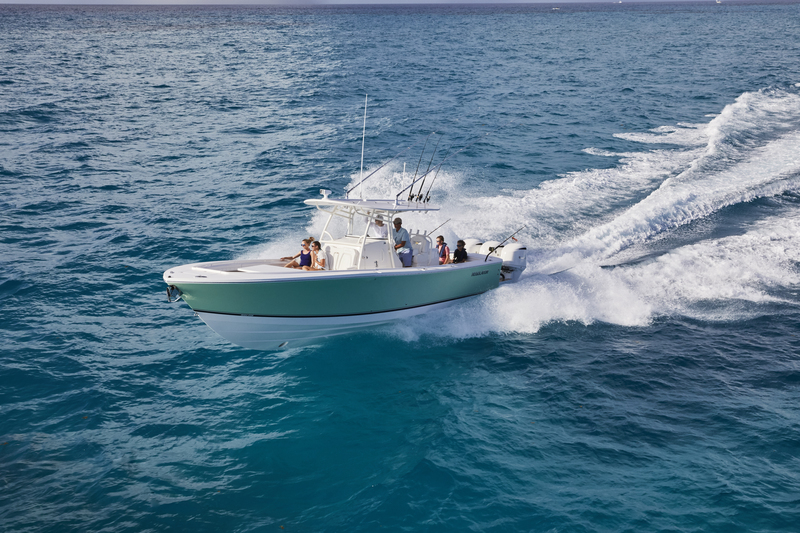 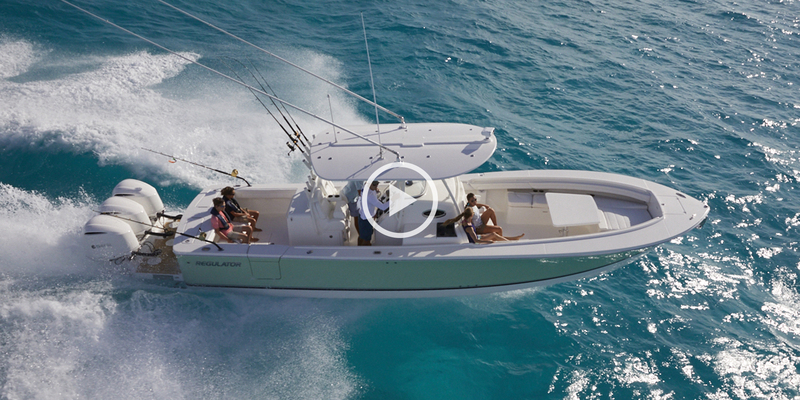 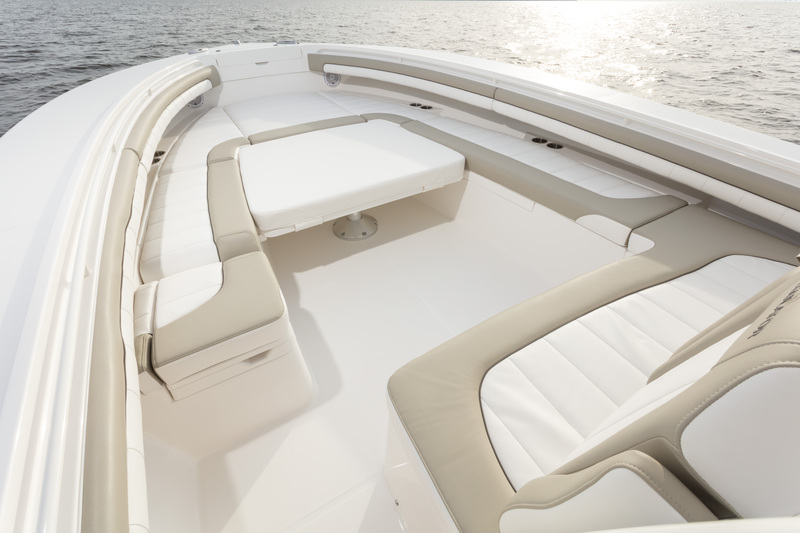 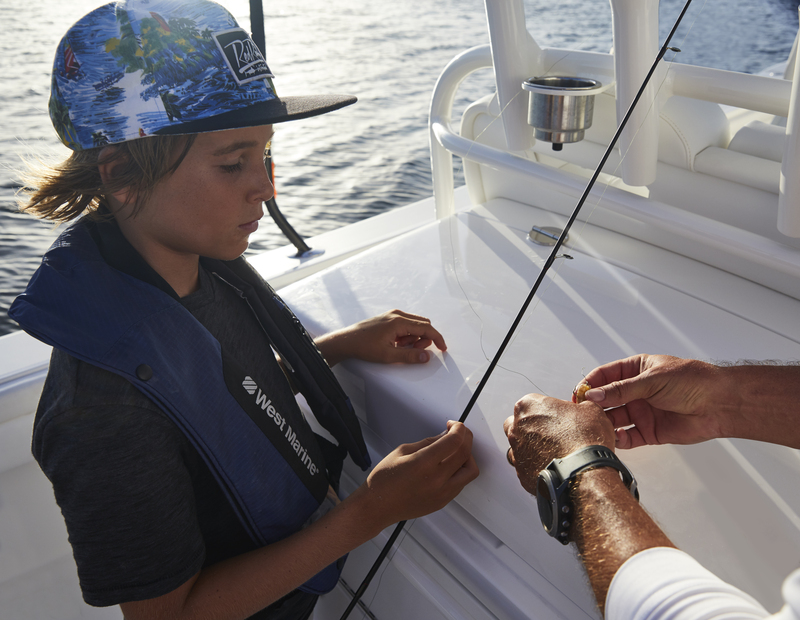 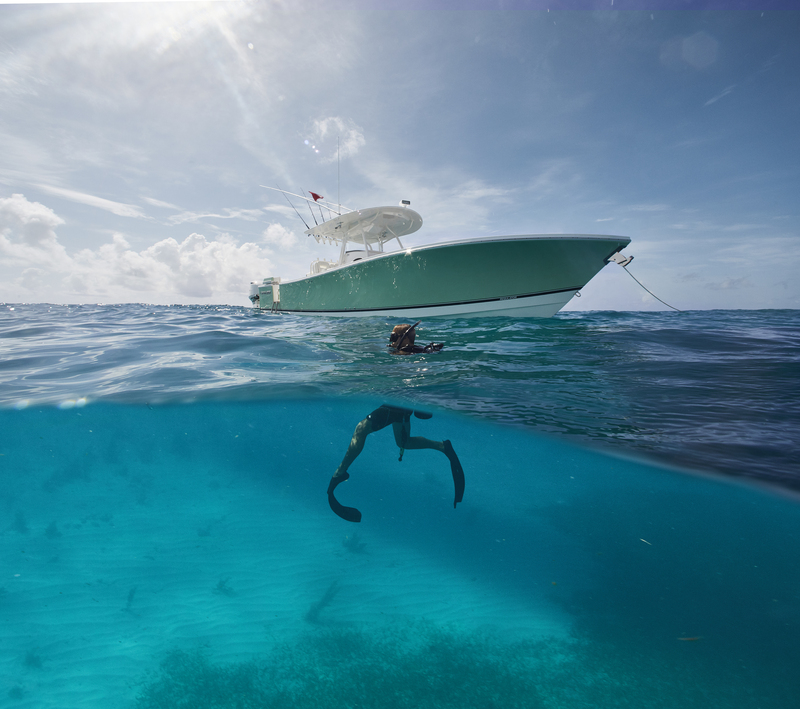 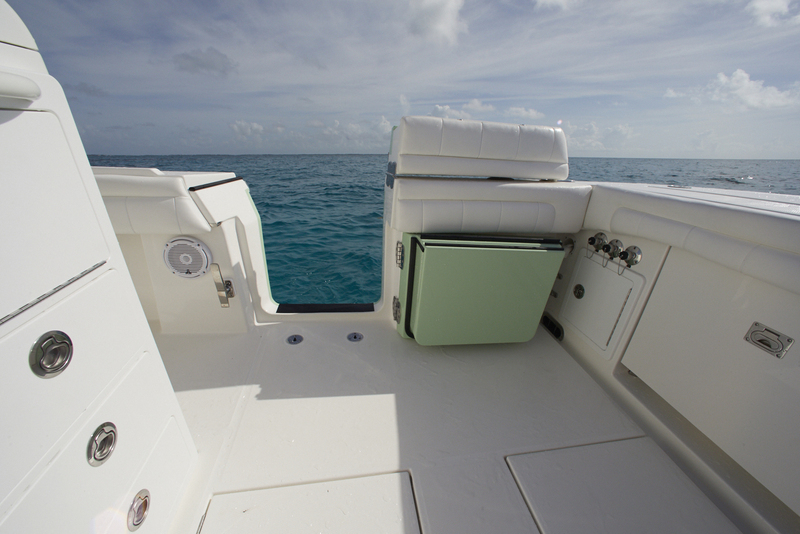 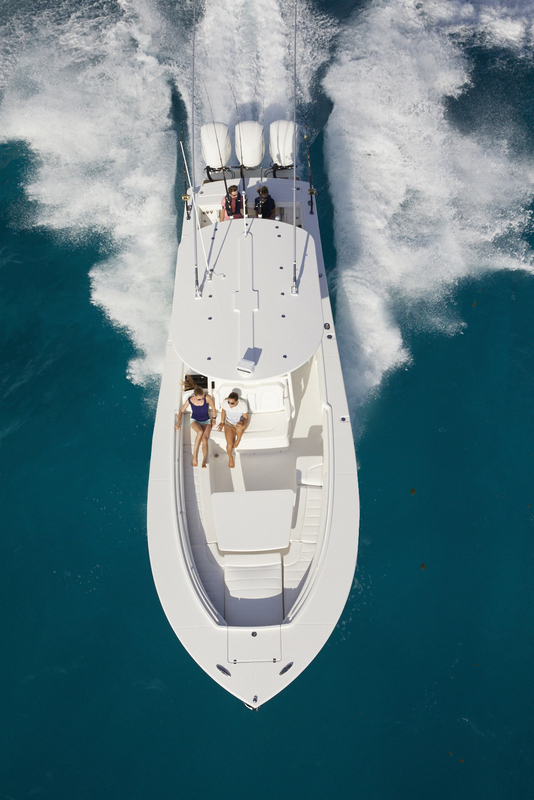 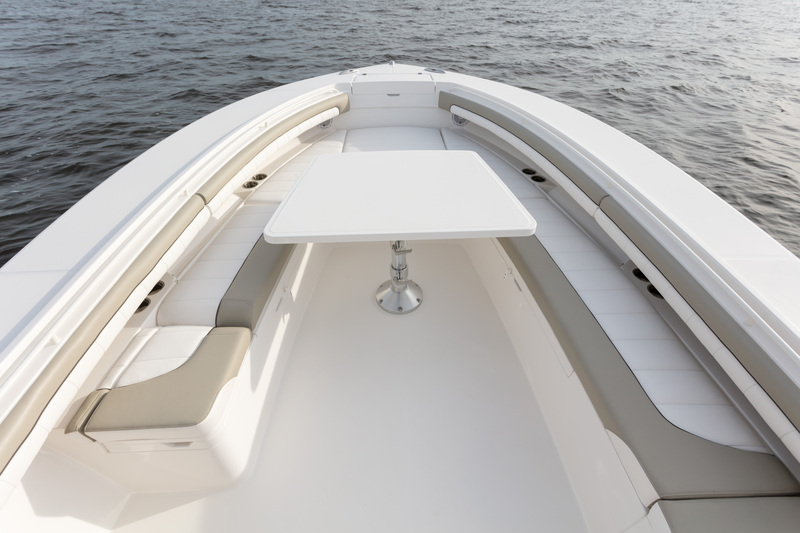 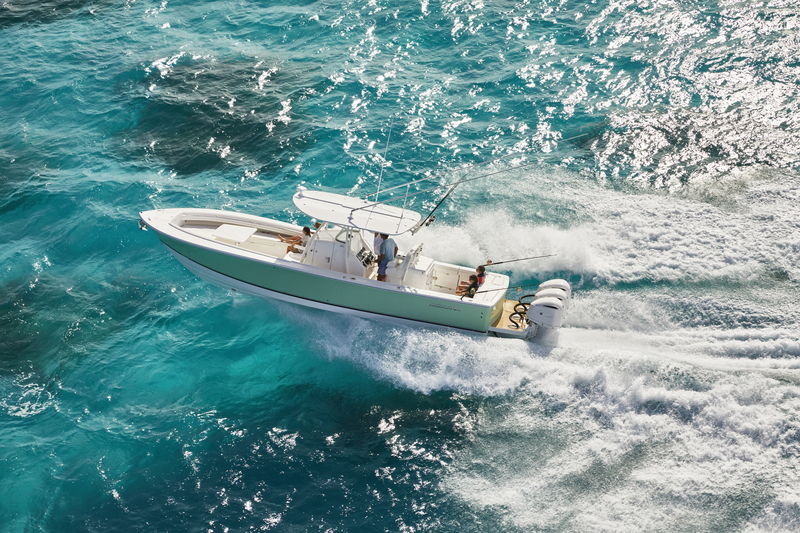 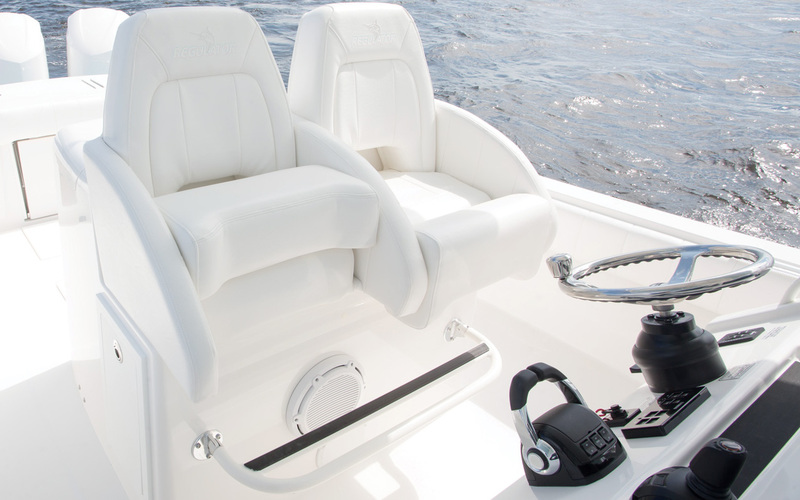 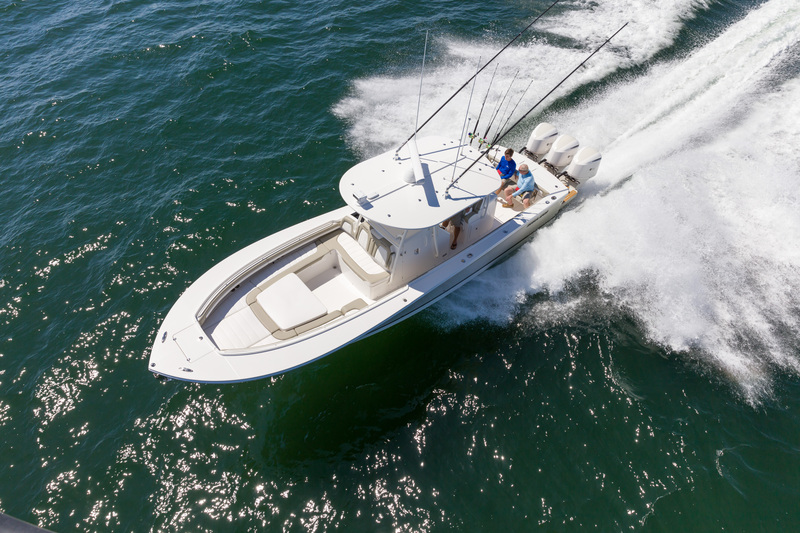 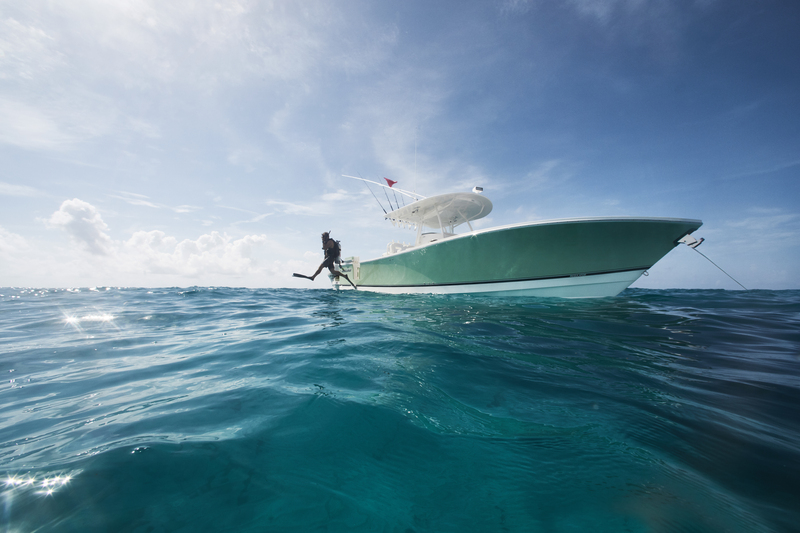 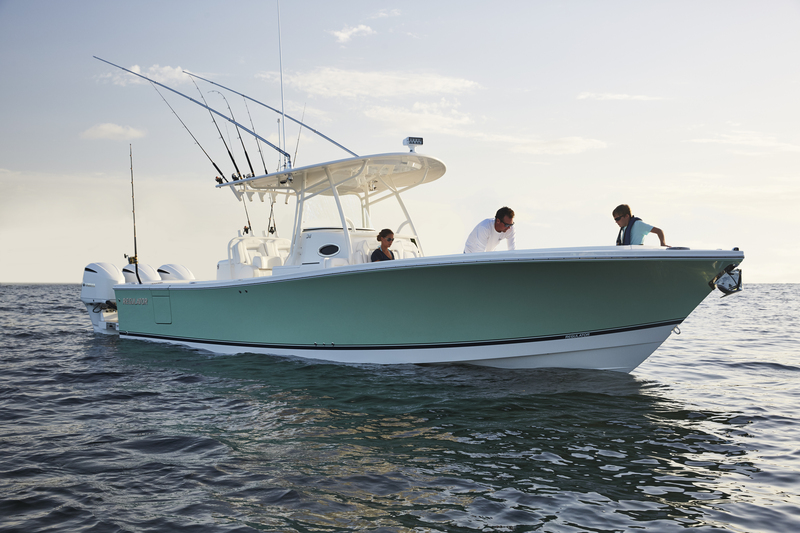 The 34SS is what weekends are all about, designed to entertain with ease and pursue the offshore catch in comfort. 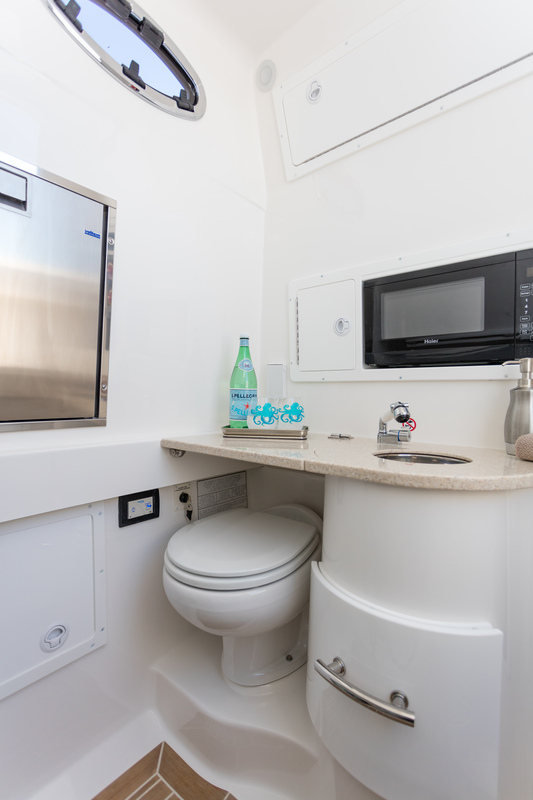 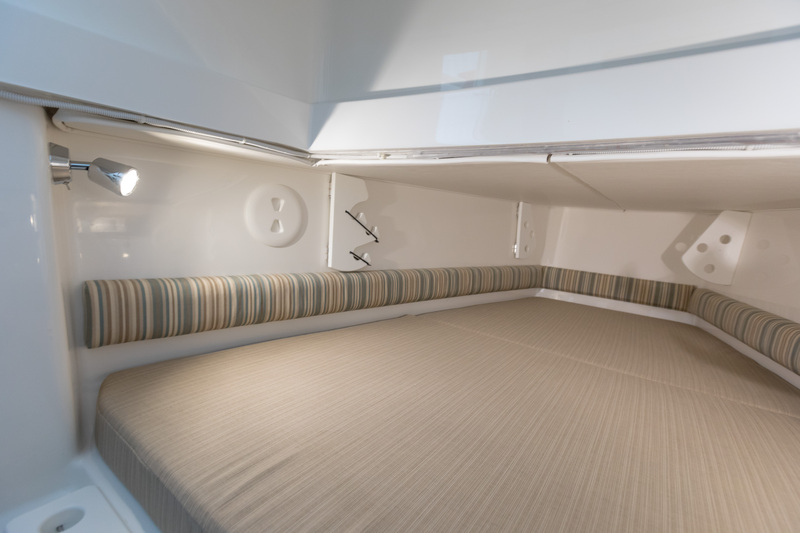 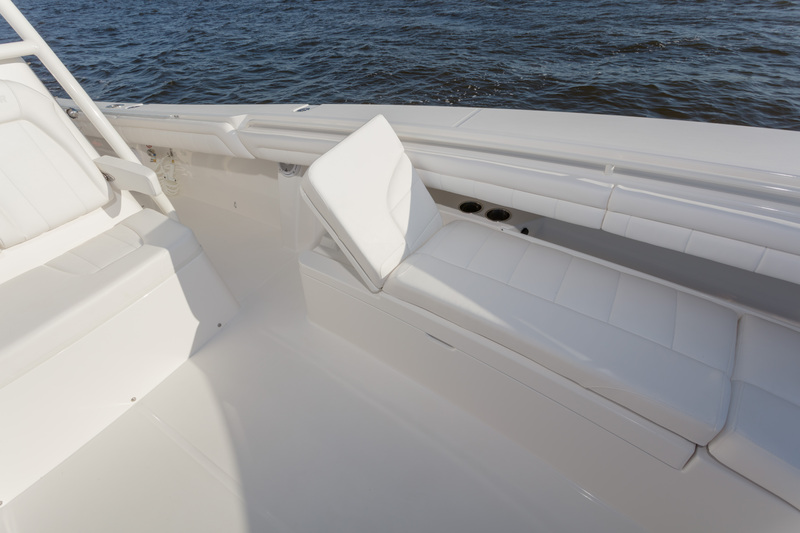 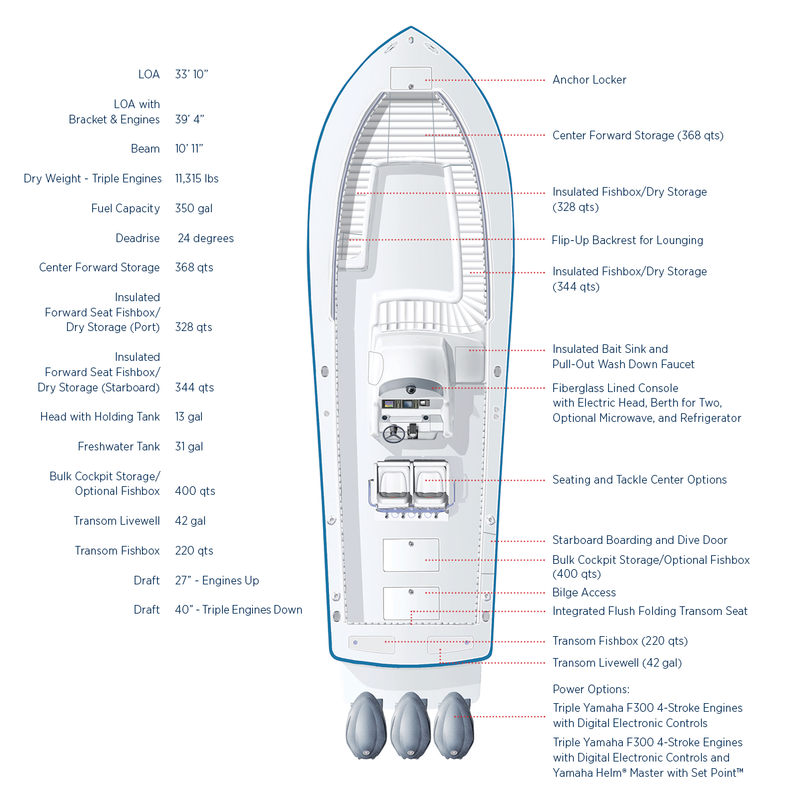 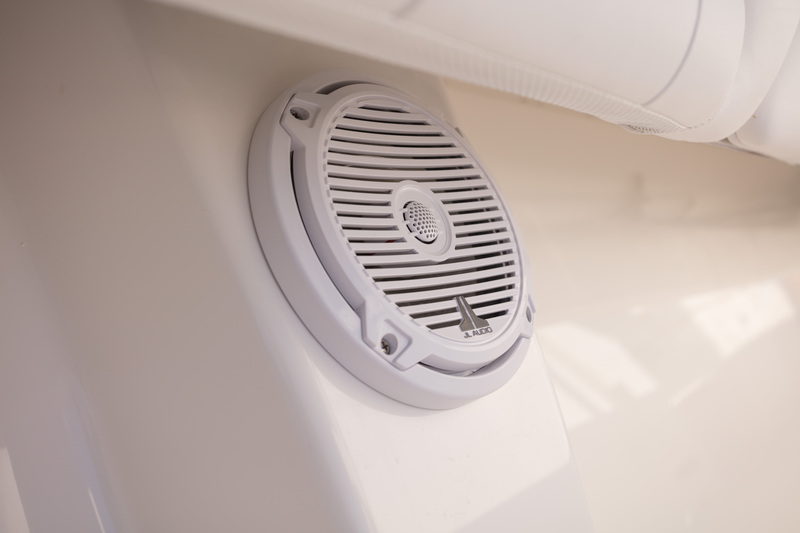 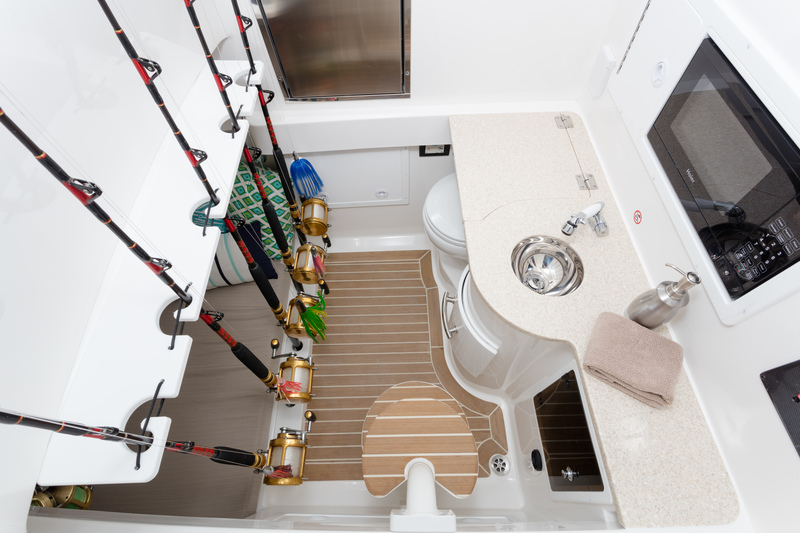 Find relaxation and convenience at every turn with the new optional forward sun shade, starboard boarding and dive door, wraparound Starboard Seating, and sleeping berth with freshwater head and sink. 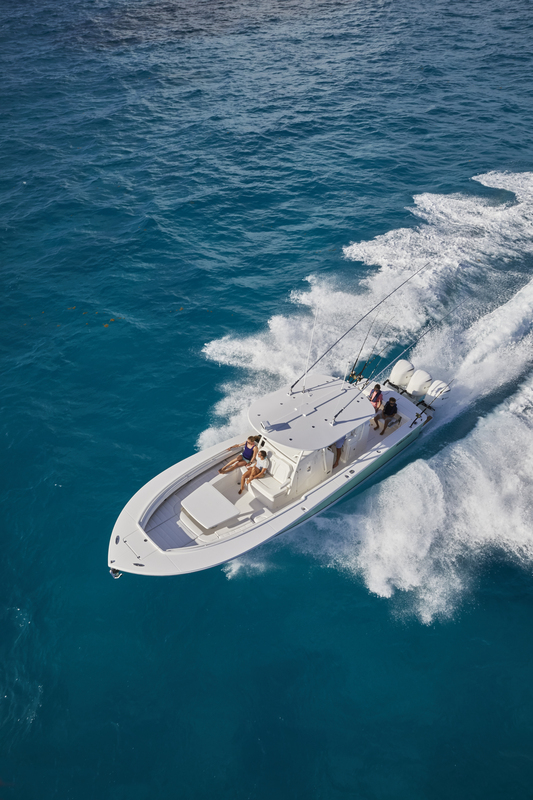 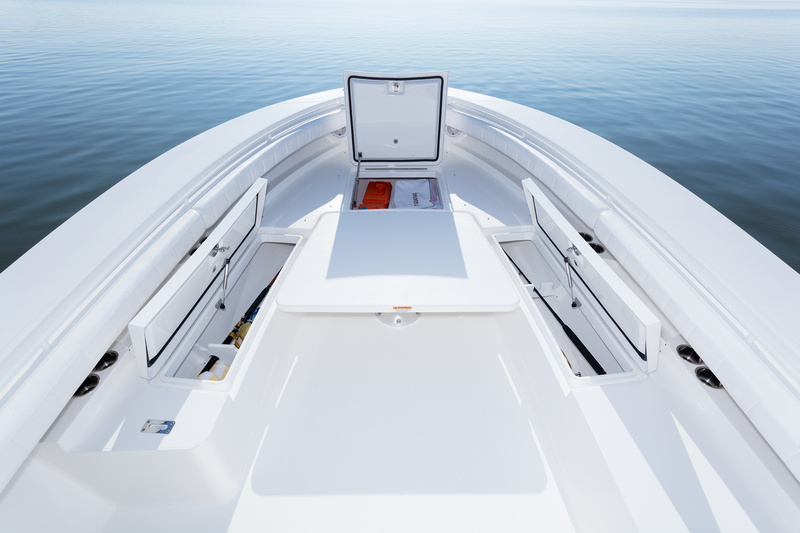 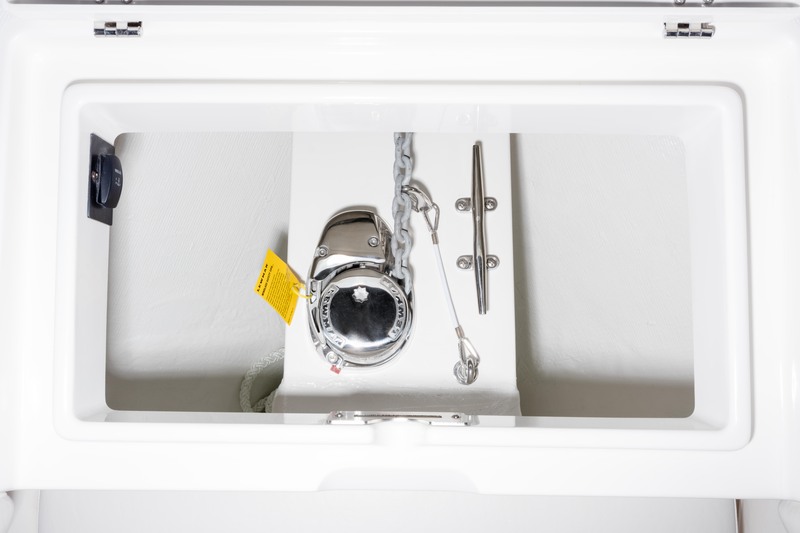 Plus, opt for the watersports tow bar for some family fun. 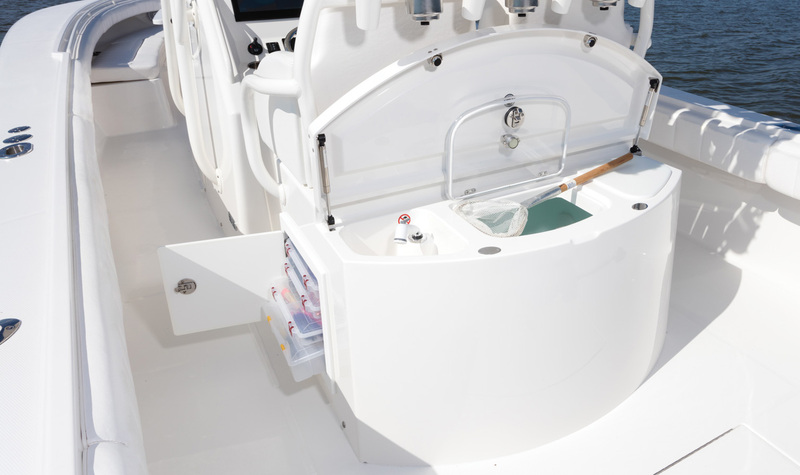 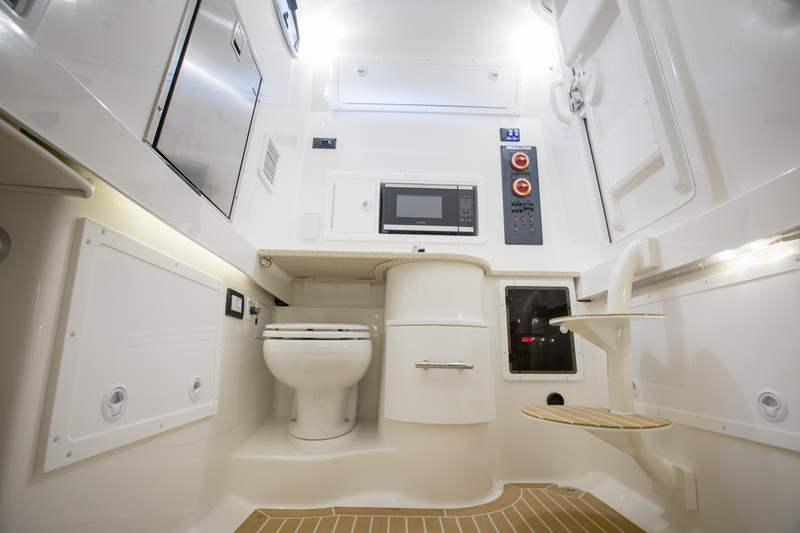 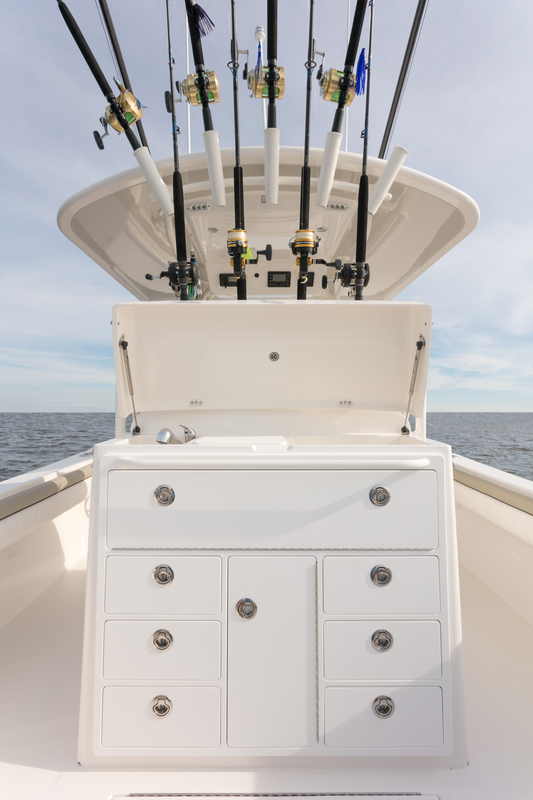 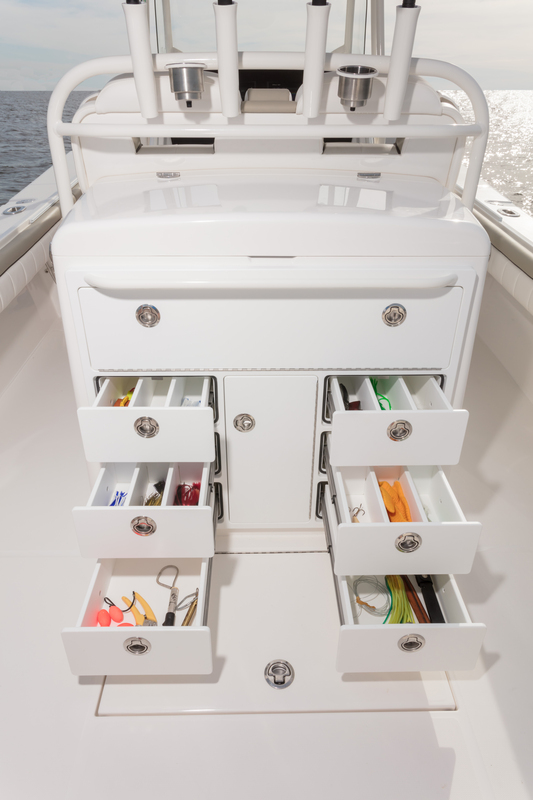 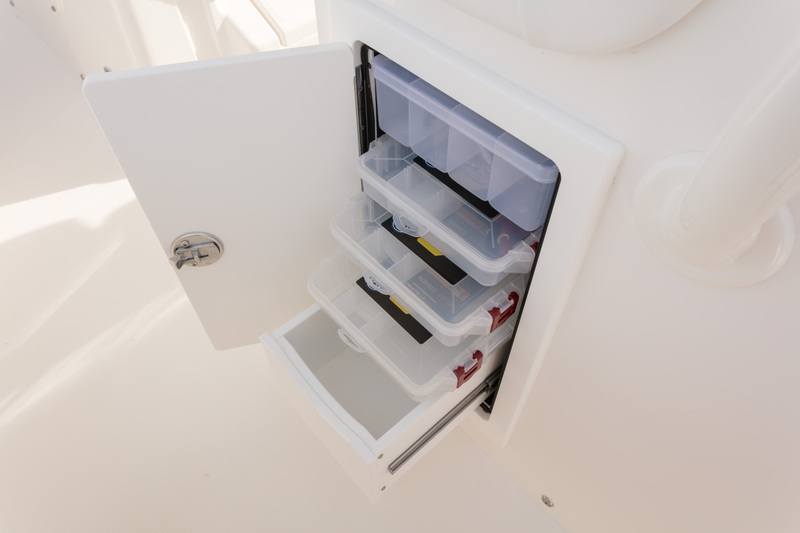 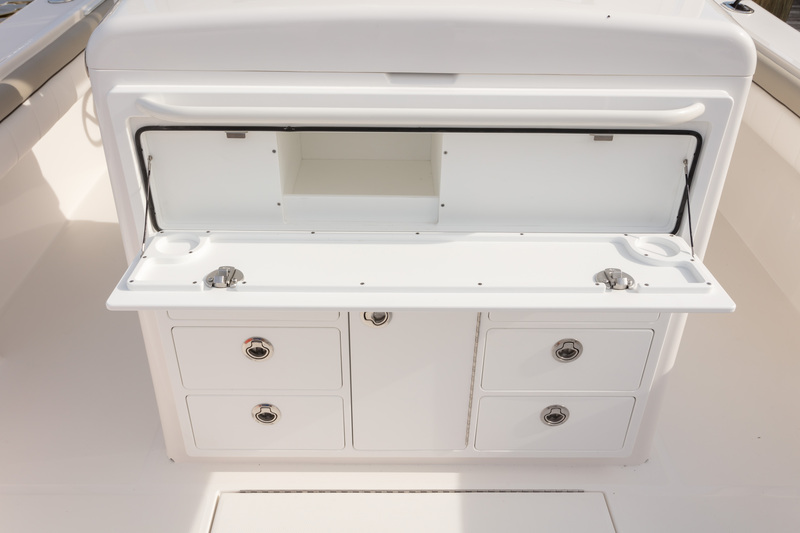 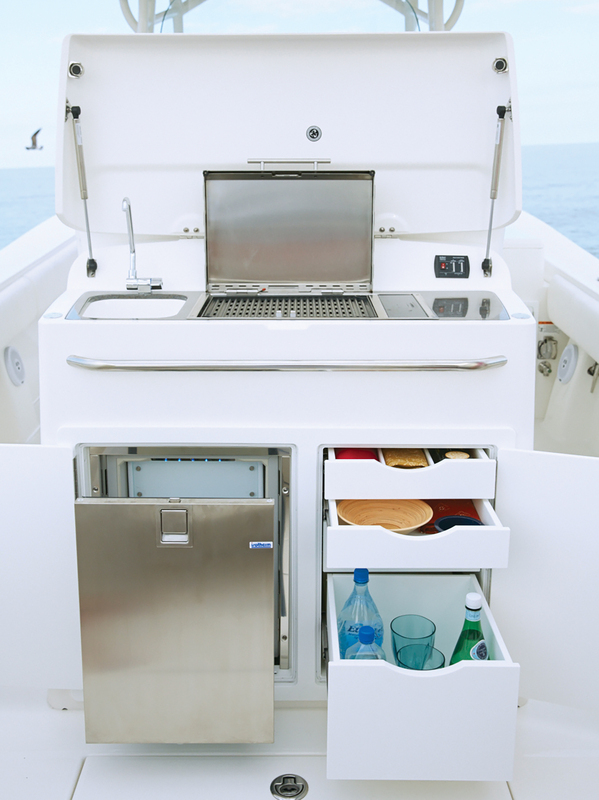 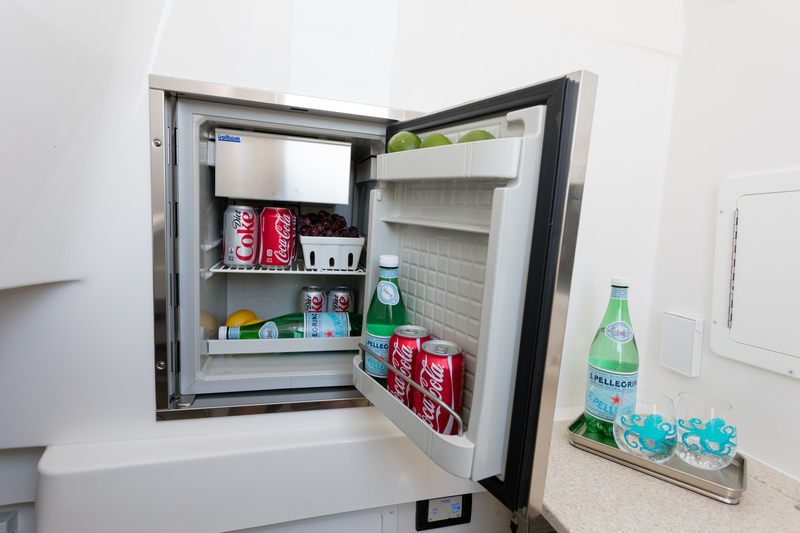 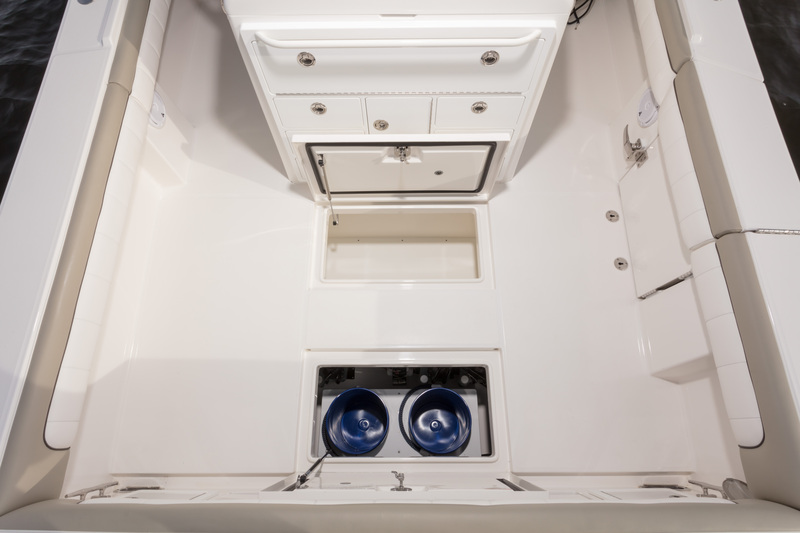 Choose the optional Cockpit Galley with grill and refrigerator to enhance versatility, or the 3X Deluxe Livewell/Tackle Center to complete your strategically outfitted sportfisher. 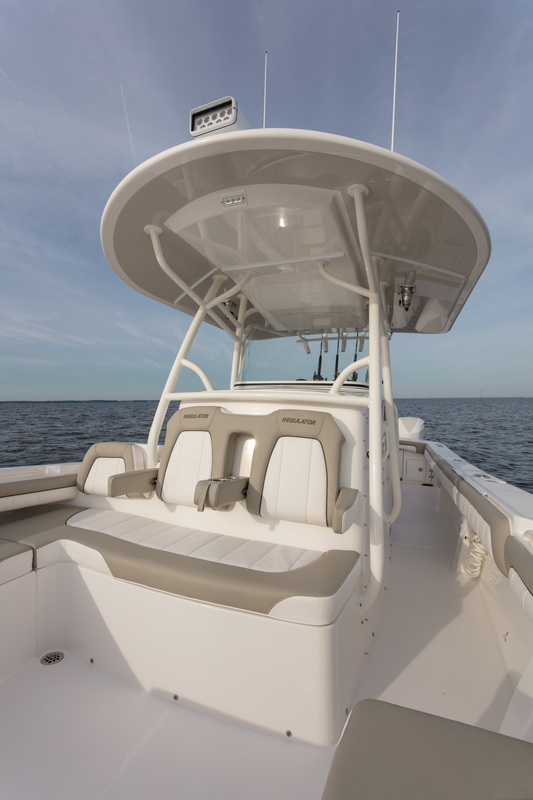 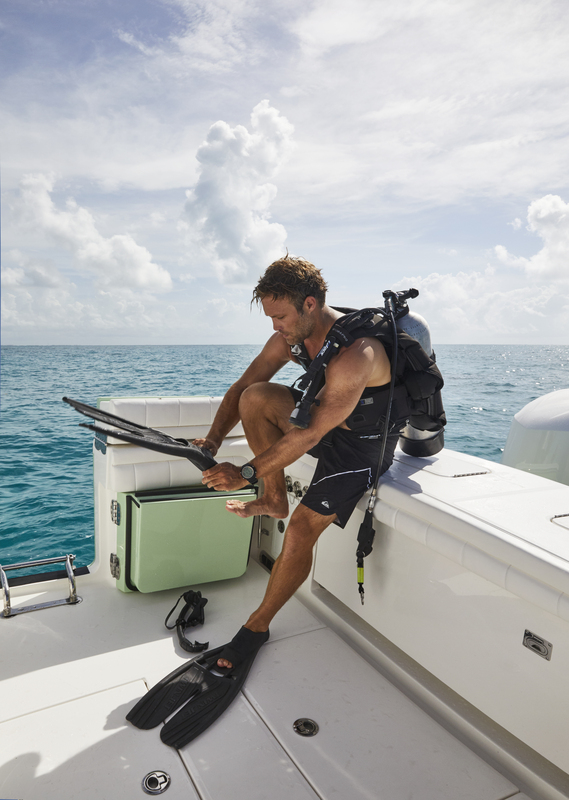 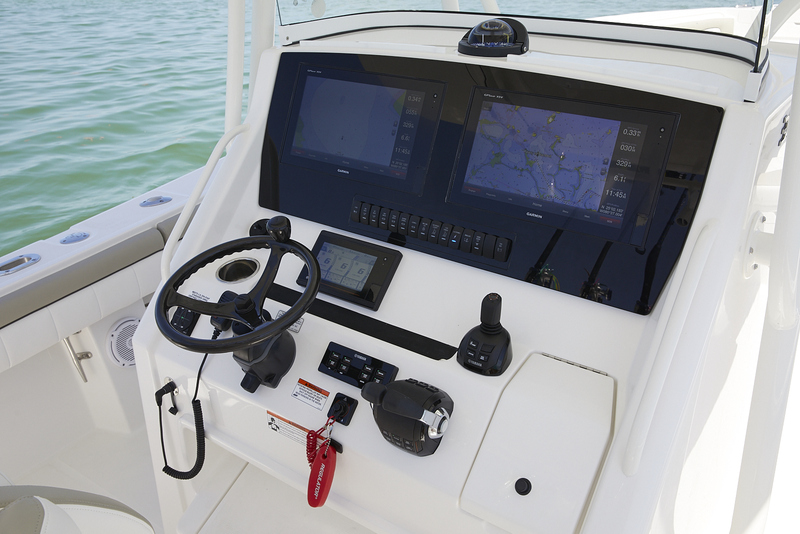 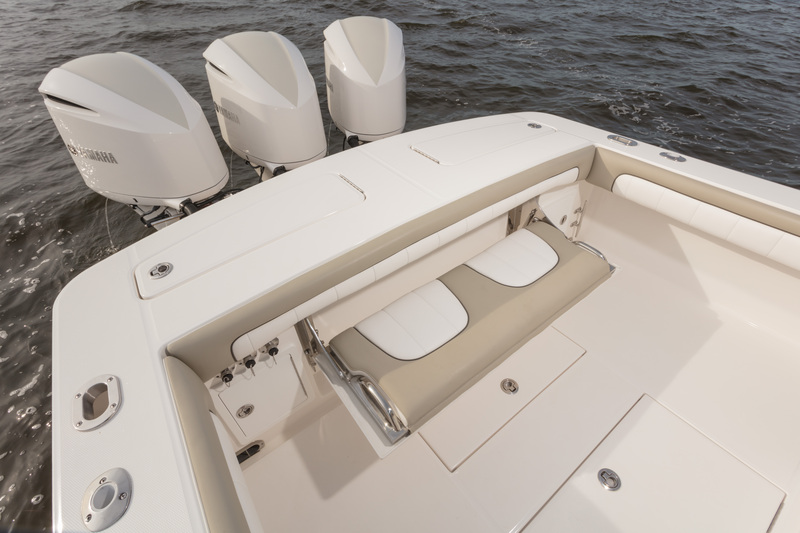 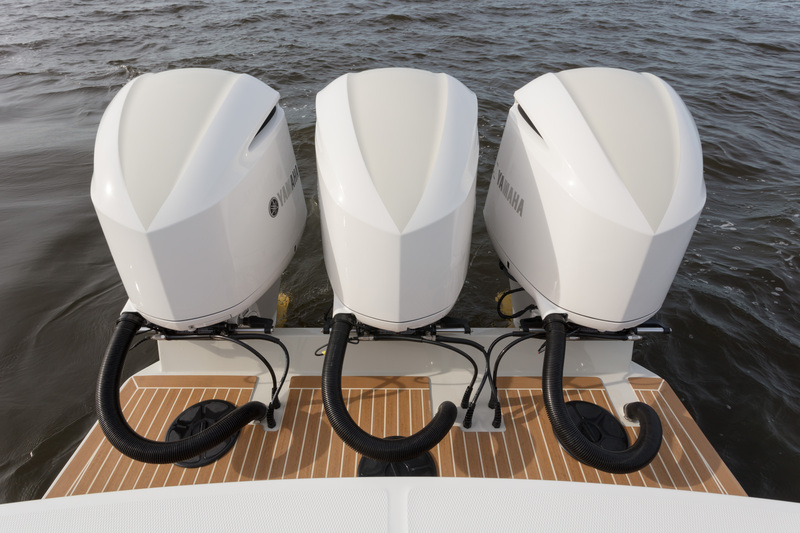 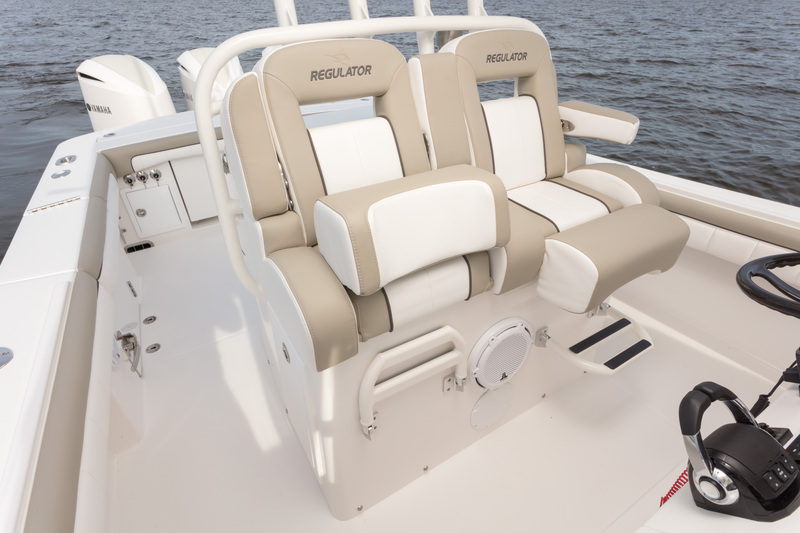 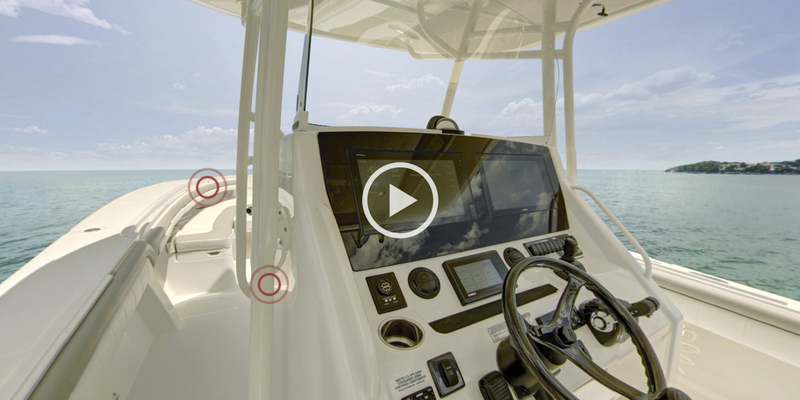 Either way, you'll have plenty of rod and tackle storage, huge forward fish/storage boxes, 350-gallon fuel tank, and triple Yamaha F300s with optional Helm Master with Set PointTM to bring your Regulator experience to the next level.